I love my cats so much that I sometimes treat them like my babies! I guess only cat lovers can comprehend this uncontrollable need to pamper and shower our cats with love and affection by giving them the best of everything like a cat stroller! What do you think of the blue stroller? I would love to get one so I can take my cats out for a walk on a nice day. I'm sure they would love it seeing they're house cats and they do not leave our home unless it's a visit to the vet or something. The strollers above are built for cats but if you're shopping for baby Strollers, check out the lovely selection I discovered online at Shop Wiki. Don't you just love Shop Wiki by the way? They have everything online. From health & beauty products and arts & crafts to baby products (like Baby Walkers) and pet accessories, Shop Wiki has everything you need. The variety is great and prices are reasonable too. Take this jogging stroller for instance, isn't it cool? 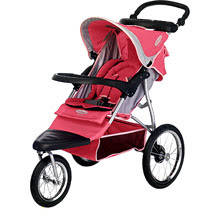 I was not aware of jogging strollers until I saw them at Shop Wiki. Apparently they're used to bring your infant along for a jog. The good thing about jogging strollers is that they do not jostle since they're light; equipped with shock absorbers and larger wheels. Faster paces will not shake and rattle the stroller as much so your baby enjoys a smooth ride while you happily keep up with your jogging routine! I wonder if my favourite pet store provides jogging strollers besides the usual cat strollers. More importantly, would anyone think I'm a little cat crazy if I actually bought a stroller and jog with Lil' Phoebe in it? Hahahaha got meow strollers at Pet Safari, crazy right? Hahahhaha so cute! I would love to get one for Phoebe and take her for a walk, it will be so cute eh? 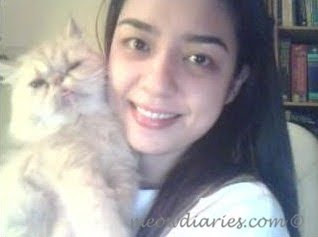 But hopefully ppl won think I’m a crazy cat person la hahahhahahah! 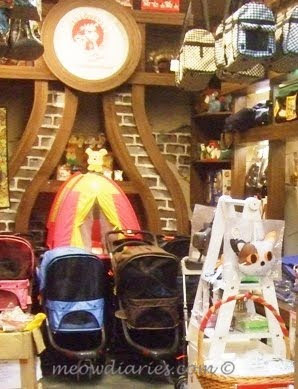 Anyway expensive lor…500RM for the stroller! Welcome! I changed all my badges at all three blogs for my TCM, TCO and TFC edi…only TD haven done! You are my TCM, TCO and TFC at WOAFS, here oso! Dat’s why!!! Suddenly only GG appeared today, hey GG!!! Got BF edi or not? LOL!!! I oso got one more to do for SR, but I haven accepted the advertiser’s offer, still thinking hohohoh! U would think it’s cute la, but sure other ppl think I’m crazy taking my cats out for a walk, some more not even doggie hahahahhahaha!!! why havnt accepted the offer? I got new TD la this month…so sure must change badge! GG busy studying to become a Doctor he he! Cause they counter offered me, so lower price…hehehehe…but I think I will take la cause it’s abt rugs, easy peasy mah! HAHHAHAHHAHAH that is why la!!!!!!! Where got anybody jog with meows? With babies go la but with meows??? Hahahhahahahahhaaha!!! Master is crazy! Hi GG!!! U back to blogging for real now sweetie? They offered me for WOAFS oso, but higher price than meows..so I will be tamak and take both, hahahahhahah! LOL @ nobody jogs with meows!! U know how funny that sounds? Muahahhahahahahahhahaha!!! i dont have bf GP! will u give me 1?hahah! i know that sounds funny!! LOL!!!!!!!!!!! Congratz for the FC you guys... :) I'm finally back in Mumbai. Recent blog:=- Chp 268. Wedding Planner: D-Day! Good luck in ur exam okay GG? I’m sure ul do very well! Sure or noooooot GG? He he, thanks for comin over today, hugs! Hahahahhaha GG!!! If u were here in Malaysia, sure I’d set u up with one of my single friends hahahahaha! It sounds damn funny la Mon, u making me LOL here! Ppl read oso sure LOL haha! ohhic! i just checked still 0! hahaahahahah! btw can u drop ah today? My LW oso 0! Nothing to chop….. I haven dropped at all but I can see my widget and it says Drop there so I think can drop, you? lolz. Well, I'm just scared that one fine night your baby is crying and due to force of habit you might pick your baby by the skin on his neck and put him outside your bedroom and close the door. Hahahahha come on Sandman, do I look like I can do that to my babies? Hahahahahhahaha, I am waiting for u to have a baby first, then we’ll see lil Mariucas and lil Bs running around hohohoho!!! Ciao, Me going home. Long weekend. Happy hols Marz. Hugz to you and B. He he small OKB only but woo hoo!!!!!!!!! I didn keep track of my RM earnings see2 more than expected lol! Mariuca, sthing wrong wz Adgi ah?? I cant login to Adgi, server too busy!!! I guess Adgi is down then, hope okay later cause I haven clicked! ahh same lor cannot login to Adgi also..
im doing my ec round now...hope i can drop 300 today! no la before i went out just now aldy server too busy until now!!! been missing chops lately! super duper busy..
lol i have never heard of a cat stroller before. how nice! This is a shot of Elisabet with a cobra telefon. I am still learning how your comments work. I can walk with a leash, but then so can the dogs out there. The stroller looks much better and safer for the kitties. I love it.